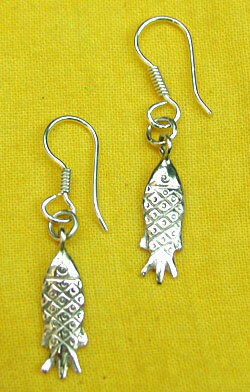 fruits de mer earrings Silverchilli - Beautiful fair trade sustainable silver jewellery from Mexico. Delicate silver fish design. 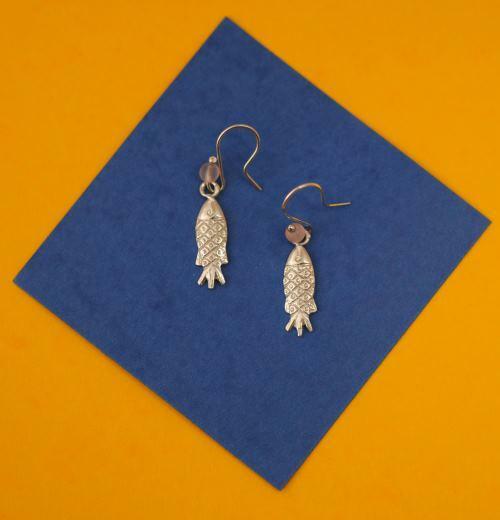 These .925 stamped solid silver earrings are handmade by our skilled artisans. Fully fair trade and unique. These earrings are appromimately 22mm high and 6mm wide.